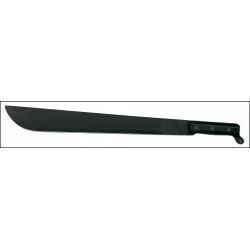 Szén-acél penge, fekete zinc-phosphate bevonattalMilitary Jungle Machete - 18" carbon steel blade with black zinc phosphate finish. 23 1/4" overall. 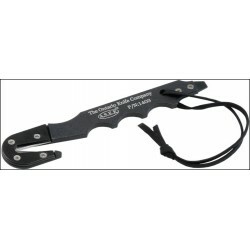 Black high impact shatterproof polymer handles. Scabbard available separately. OKC1949 BAYONETT12 1/2" overall. 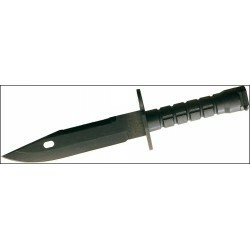 6 1/2" 420HC stainless partially serrated tanto blade with black finish. Blade is 1/4" thick. Green rubber handle. 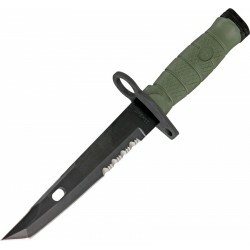 MOLLE compatible green Kydex sheath. Fits the M16 series Rifles and the M4 Carbine. 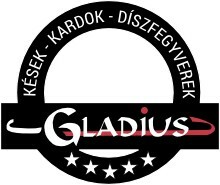 Teljes hossz : 31 cm. Penge hossz. : 18 cm. 1095 carbon steel ,zinc phosphate bev.penge bőr markolat. fekete bőr tok Súly : 291 gr. Teljes hossz,25,5cm Penge hossz. : 12 cm. 1095 carbon steel ,zinc phosphate bevonatgumirozott markolat. üvegtörővel digital desert MOLLE cordura tokkal súly : 284 gr. 17,1/4" Teljes hossz. 12" penge , 1095 carbon steel, zinc phosphate bev. tok nélkülCamp and Trail Machete - 17 1/4" overall. Black zinc phosphate finish. 12" carbon steel blade. High impact shatterproof polymer handles. No sheath. 12 1/8 overall. 7" 420 stainless blade with a non-reflective black oxide finish and millsed sawteeth on top edge. 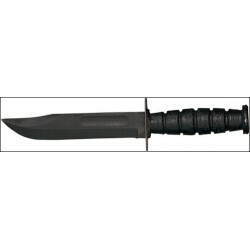 Black thermoplastic nylon handle with black oxide coated steel guard and cap. 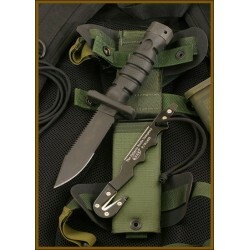 Black thermoplastic nylon scabbard with wire cutter and universal military holster. Fits M-16 rifle. Teljes hossz. : 27,5 cm. Penge hossz: 15 cm.fekete oxid bevonattal. súly : 285 gr. műa markolat, plastic tok Ontario Mark 3 Navy Knife. 10 7/8" overall. 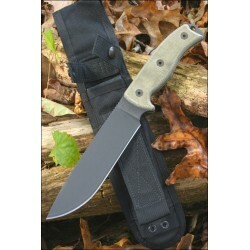 6 1/2" black oxide finish stainless sawback blade. Molded black checkered high-impact plastic handle. Cordura and plastic sheath. U.S. Military issue. 12 1/4" overall. 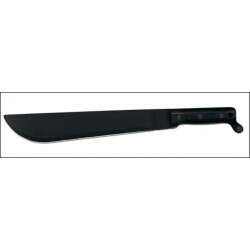 7" 1095 carbon steel blade with black phosphate finish. Full tang. Canvas micarta handles with extended pommel. Lanyard hole. 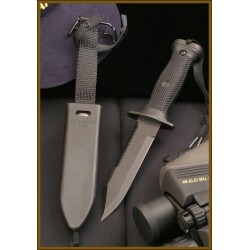 Black nylon Spec-Ops belt sheath. 13,1/8"Teljes hossz, 8" 1095 carbon steel ,fekete epoxy bev. penge.kraton markolat. bőr tok Freedom Fighter Series. 13 1/8" overall. 8" 1095 carbon steel blade with black epoxy powder coating. Full tang. Black grooved Kraton handle with black finish steel guard and pommel. 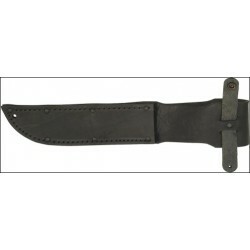 Black leather and Cordura belt sheath with tie.